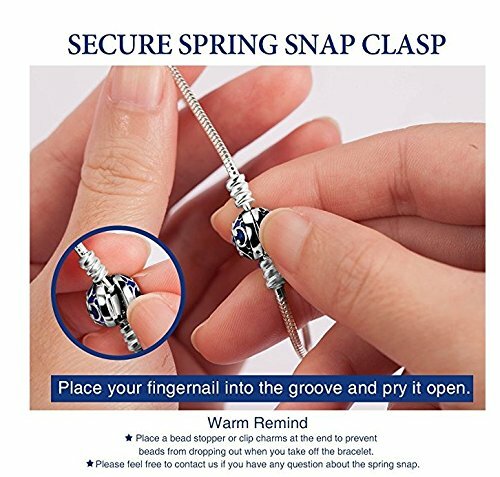 Home / Marketplace / Clothing, Shoes and Jewelry / Women / Jewelry / Fine / Charms and Charm Bracelets / Charm Bracelets / Snake / NinaQueen 925 Sterling Silver Snake Chain Bracelet with Blue Clasp Charms-Endearing Gifts For Her ♥Happy Mothers Day! 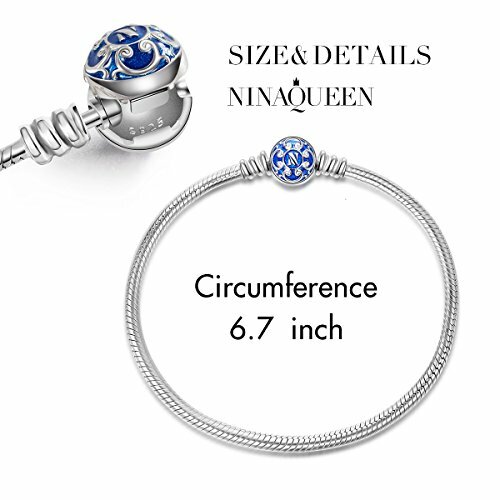 NinaQueen 925 Sterling Silver Snake Chain Bracelet with Blue Clasp Charms-Endearing Gifts For Her ♥Happy Mothers Day! MEASUREMENT: Please kindly check the second picture about the size before purchasing. 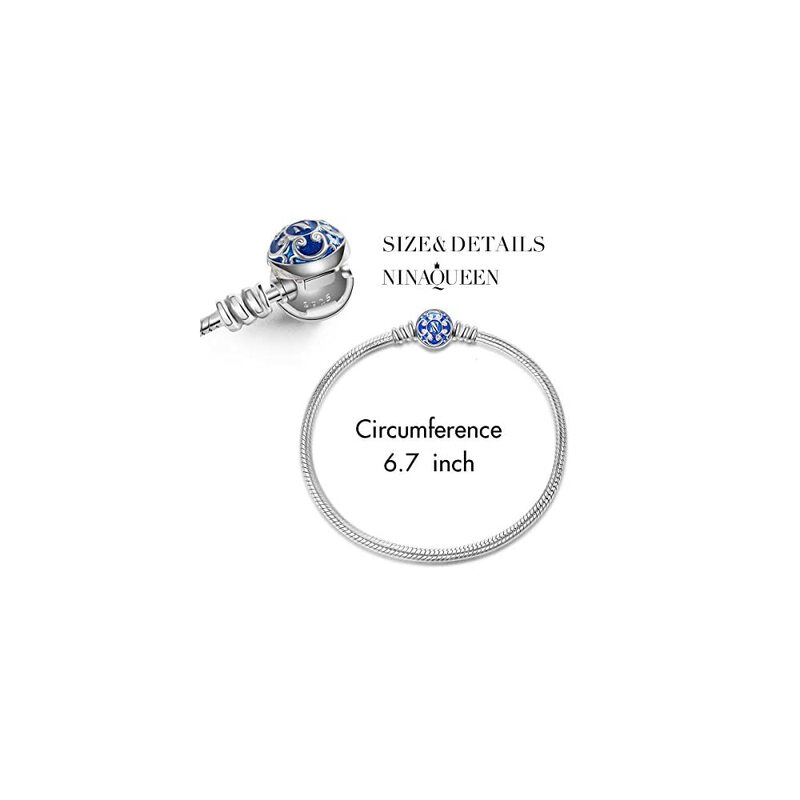 PERFECT GIFT: Comes in a fine gift box. Twinkle Twinkle surprise! 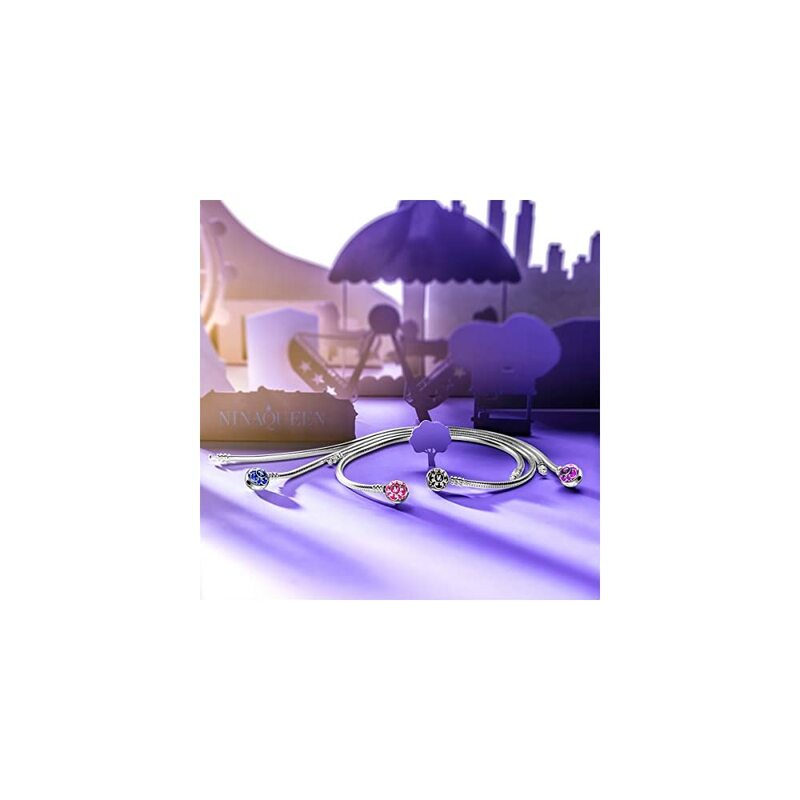 Ideal gifts for Valentines Day, Mothers Day, Christmas Day, Anniversary Day Graduation and Birthday to your girlfriend, wife, mom, sister and daughter. 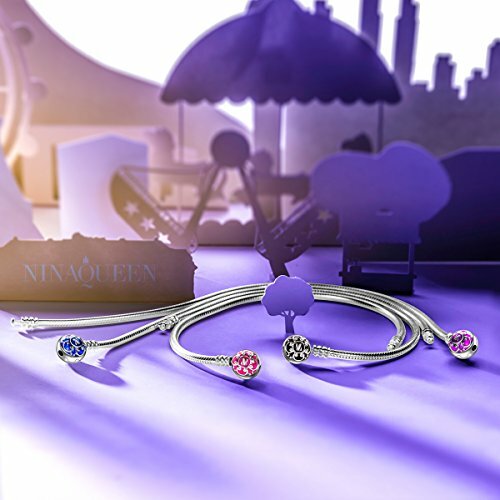 Treat yourself or someone special to it! Simple design but really eye catching, the colour of the clasp is lovely, a lovely gift for child or adult. Great price for something so pretty. 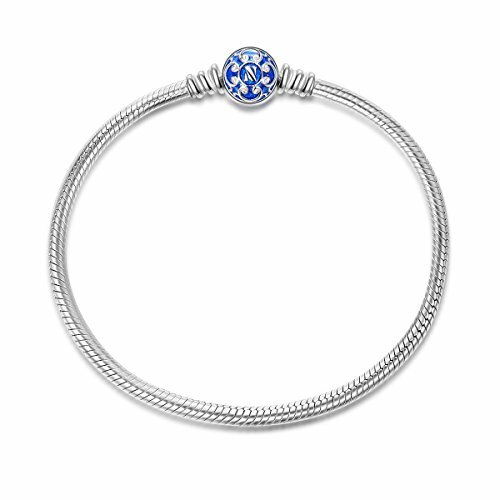 Very pretty — like the blue clasp charm!